To unfold the secret and apply skills to earn money from Solar Business. To impeccably execute projects. More so learn, to convert inquiry in to business and efficiently get the orders. Effectively manage various activities from generating an inquiry to installation and commissioning of project. Oversee, survey, design, documentation, material management, implementing schedule with timeline, fund management. Policies and Regulations, approvals and permission. Preparation of bill of material and project plan. Business Development and double growth plan. Last date 31st December 2018. Complete Practical training and participating in LIVE projects. 8 Sundays, Morning 10.00 am. To Evening 6.00 pm. Golden Swan Country Club, Yeoor Hills. Thane. Call or whatsapp 9820037904 for more information. KokuSolar brings an exciting opportunity to the aspirants taking a challenge to enter the solar arena. KokuSolar will not only train and coach the aspirants, but also offer to join the aggressive team of KokuSolarChannel Partners. 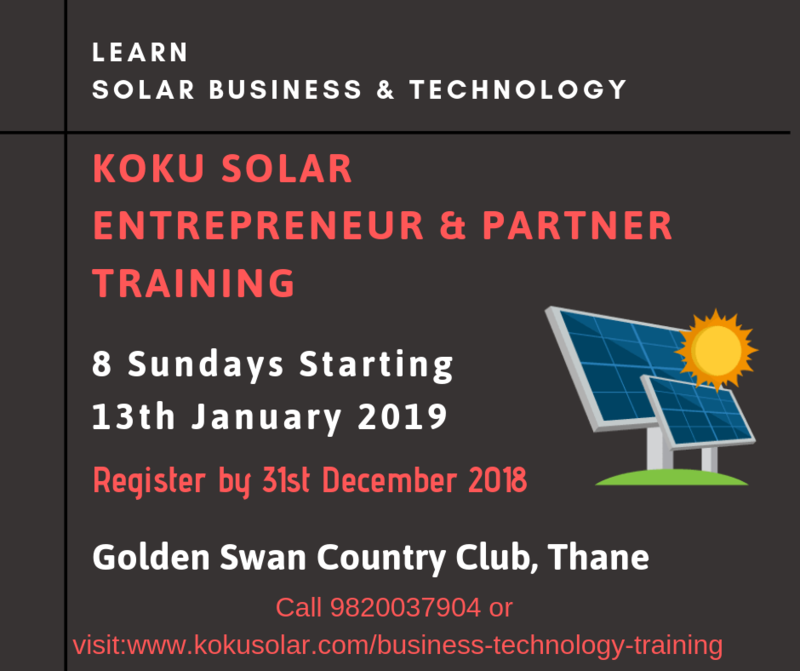 An aspirant will get complete overview about how the solar industry works along with latest technology happening and strong marketing strategies to survive and stand out in competition. Customer acquisition and retention will be a top priority. KokuSolar Business and Technology training program is designed to create successful entrepreneurs with in-depth knowledge and skills that will enhance the quality of services and build confidence in customers. Apart from technology and marketing, the aspirants will learn business and funds management very much necessary to efficiently run the business. 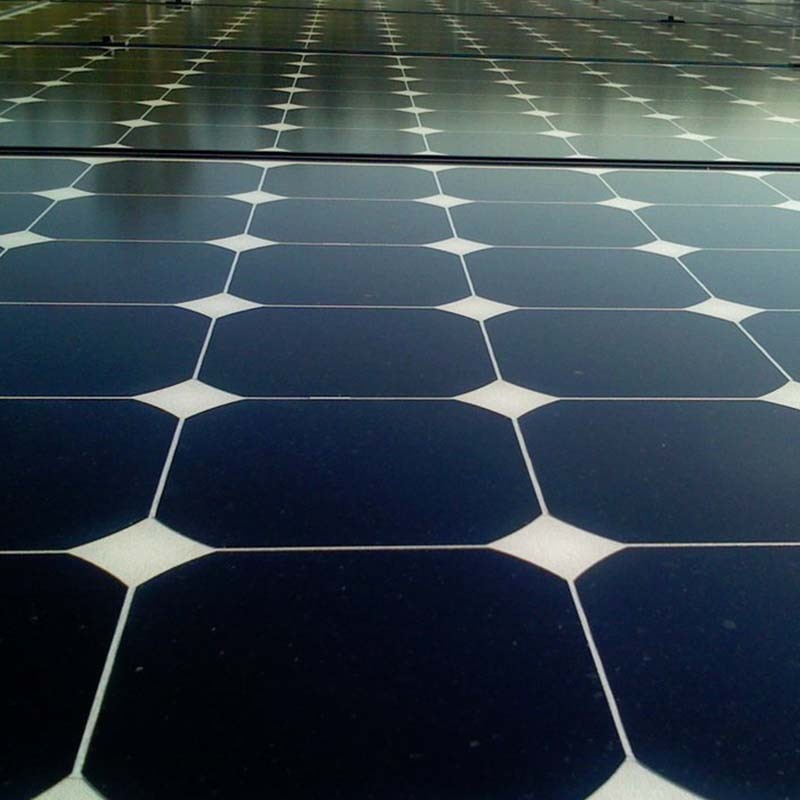 KokuSolar itself is into business of solar energy and will provide the entire infrastructure to start the business. KokuSolar has state of the art SOLAR LAB with latest indoor and outdoor tools and equipment to experience the industry standards. Solar Energy is actually a “Sunrise” industry and has tremendous growth opportunities to absorb many entrepreneurs. Methodical training will help the entrepreneur to confidently enter the business and support of KokuSolar will save a number of years of gestation period. The course is designed by the experts in technology, business and marketing. The qualified participants are trained to immediately work in the solar industry.